2 full racks of pork short ribs. 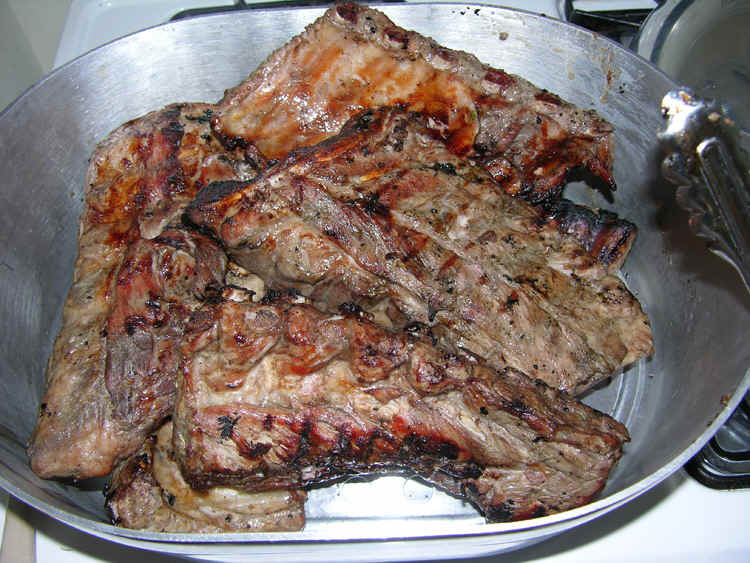 Overview - The ribs are marinated over night in the refrigerator, browned in a bar-b-que, then slow baked at a low temperature to make juicy tender tasty short ribs. The marination tenderizes and flavors. 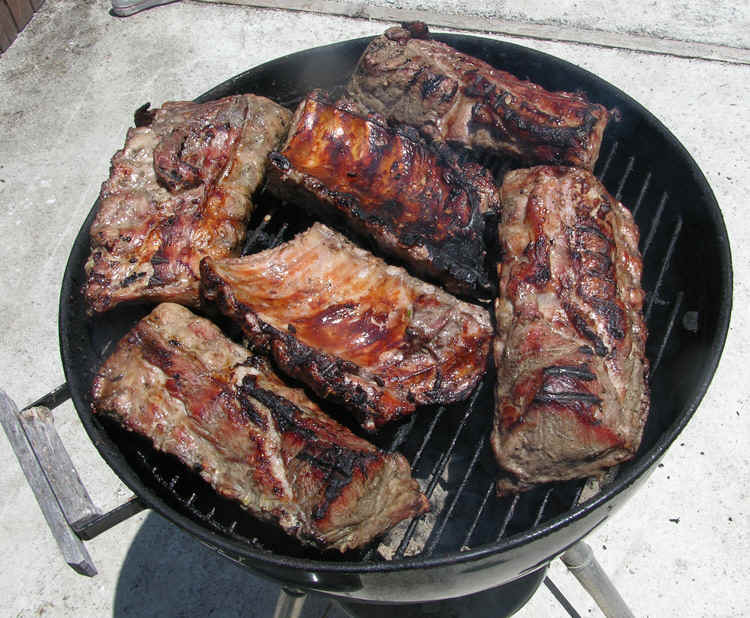 The browning on the BBQ makes the ribs look good, seals juices and provides that smoky flavor. The baking provides slow controlled moist cooking to render fat but hold juices. 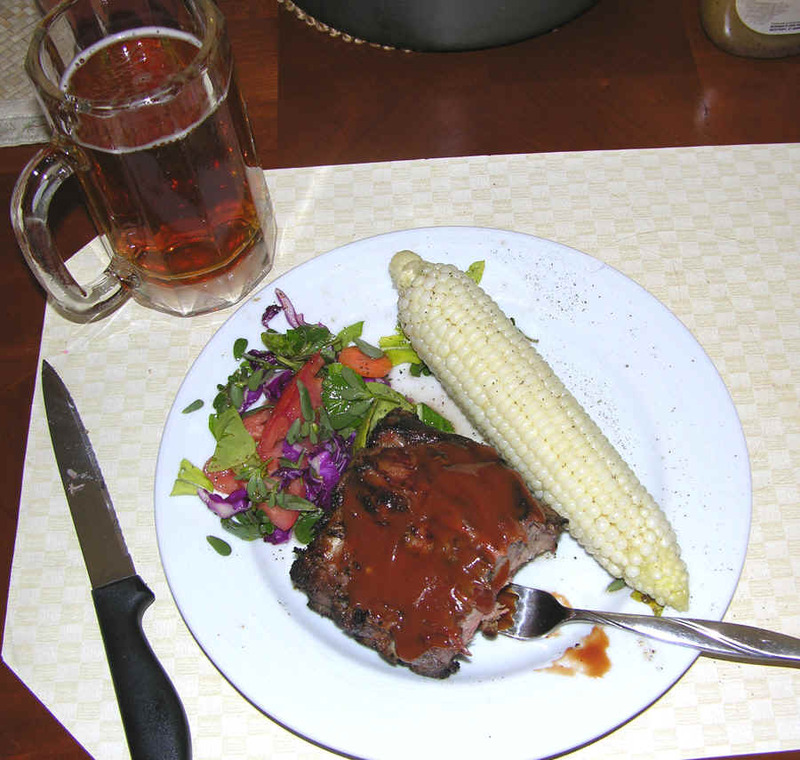 I have failed on ribs over the years, but learn from my experience how to get tender juicy ribs! I. 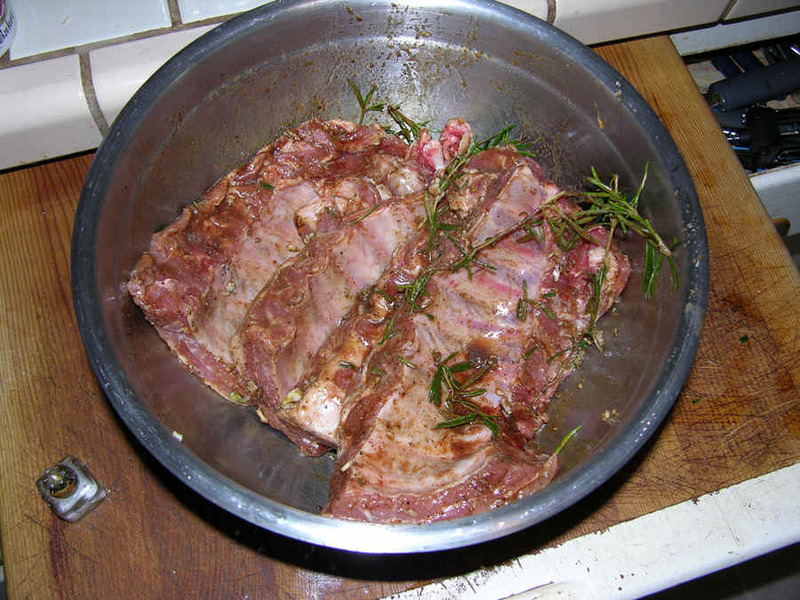 Cover the ribs in the mixed marinate in a large bowl or pan. Cover with plastic wrap and hold in the refrigerator over night. II. Sear the ribs on both sides over a hot BBQ until both sides of each rib is browned. This is not intended to cook the ribs, but give the smoke flavor. I have found it is too hard to slow cook ribs on a BBQ without drying them. III. 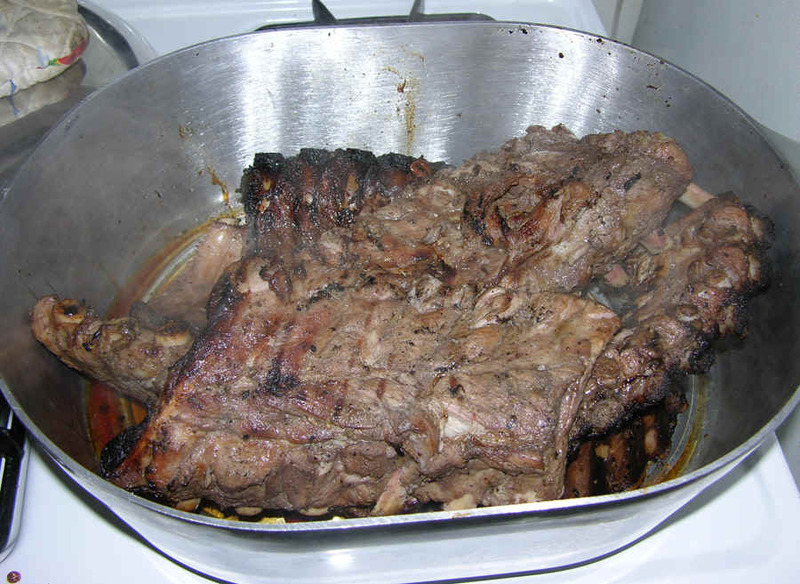 Slow roast the smoked ribs in a covered pot or roaster at 200F for about 2 to 3 hours (depending on whether you want them falling off the bones or not). IV. Cover the ribs with your favorite BBQ sauce and chow down. Contact me at BioPatent for for a free half hour consultation about protection of your invention. Please see my background and low rates.